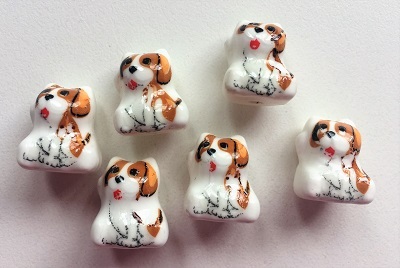 Cute dog totem bead for your talisman bag or jewelry project. 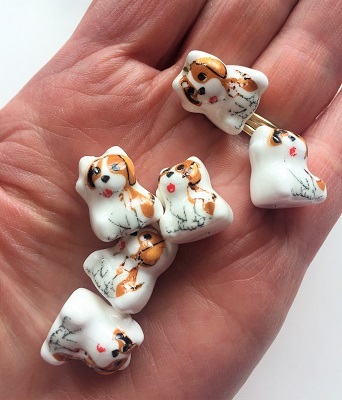 This ceramic dog totem bead is such a cute little pup with brown and white markings and perfect for your talisman bag or jewelry project. Throughout history, dog has been considered a loyal companion to human beings offering protection, trust, and friendship. 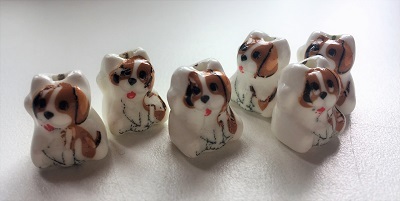 Dog totem honors those who have a sense of service supporting others. 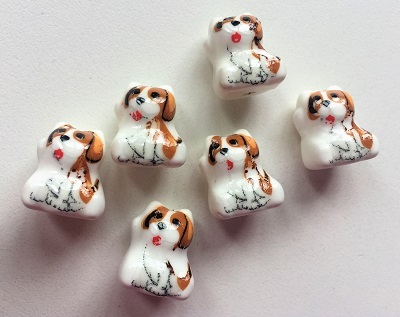 Dog totem teaches one about compassion and forgiveness with an understanding for human shortcomings. Dog totem also teaches about boundaries and brings to question your sense of loyalties and/or what is your need for approval from others. Dog totem also asks if you have been true and loyal to achieving personal goals. Dog totem teaches us to become our own best friend.